Glam jam! Bring in the new season with these jeweled eye looks. These self sharpening, water-resistant, smudge-proof brow pencils are great for defining and shaping brows. The formula glides on smooth for rich color payoff with a matte finish. Use the attached brush for blending. Define brows better than ever before. This highly-pigmented, long wearing, waterproof gel will glide on smooth and precise. PRECISION BROW PENCIL - Lasts up to 10 hours! BROWBLENDER PENCIL - Dual-ended pencil with a soft powder finish - TOP SELLER! Dual-ended pencil imparts the definition of a pencil with a soft-powder finish. The unique brush tip blends and shapes for full, natural-looking brows. Silky smooth tinted gel adds natural looking volume and color to brows. True-to-life shades harmonize with natural color, as Micro-Fibers help increase fullness and thickness for healthier looking brows. Sodium Hyaluronate. This transparent top coat seals your favorite mascara or brow color so it doesn’t budge until you remove it. Water, tears, and sweat are not an issue when you wear Lash Shield. Paraben Free. Fabulous all-in-one brow kit for four different brow looks. Contains Brow Wax, a Hi-lighter, and two Brow Powders. The total system for dimensional brows. Tinted wax creates a base to hold brow color in place. Fiber-filled powders give the appearance of real hair. Available in three color combinations specially designed for light, medium and dark hair colorings. Everybody wants perfect brows. These chic twosomes are ideal for blending and color matching your brow to perfection. BROW HIGHLIGHTER - Defines brow bone, brightens and highlights instantly! - TOP SELLER! High performance brow powder with brush. 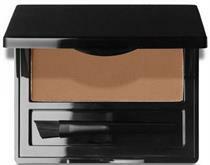 Soft, easy-blend formula shapes, contours and helps creates a natural-looking brow line. Nothing rewinds time better than great BROWS! Prep your brows before filling them in for long-wearing, smudge-proof, moisture-resistant perfection. Simply brush on and allow a few moments to dry before filling in your brows as usual. Enhance your natural brow with just a hint of color. The gel formula comes with a built-in wand applicator and is easy to apply. Shape and color match perfect brows! These easy to use powders come in a convenient to carry compact with a mini shaping brush and are specially formulated for all day wear. This clear gel perfectly fixes eyebrows and holds them in place. Create, define, enhance, set and seal natural brows with Brow Fix. Create, define, enhance, set and seal natural brows with Brow Wax. Great for shaping and setting your brow for a long-lasting brow look. Mix in with your brow powder for a more precise application. Clear, brush-on brow gel. 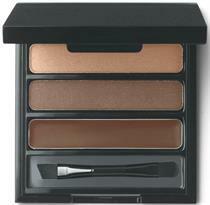 Sets quickly to sculpt brows for easy, error-free contouring. Flake and feather resistant. Passover approved.